When asteroids are coming to destroy the Earth, humanity relies on the Asteroid Fighters to save the planet. In this page, Granito is presented for the first time when he is sent a message to join his fellow Asteroid Fighters. 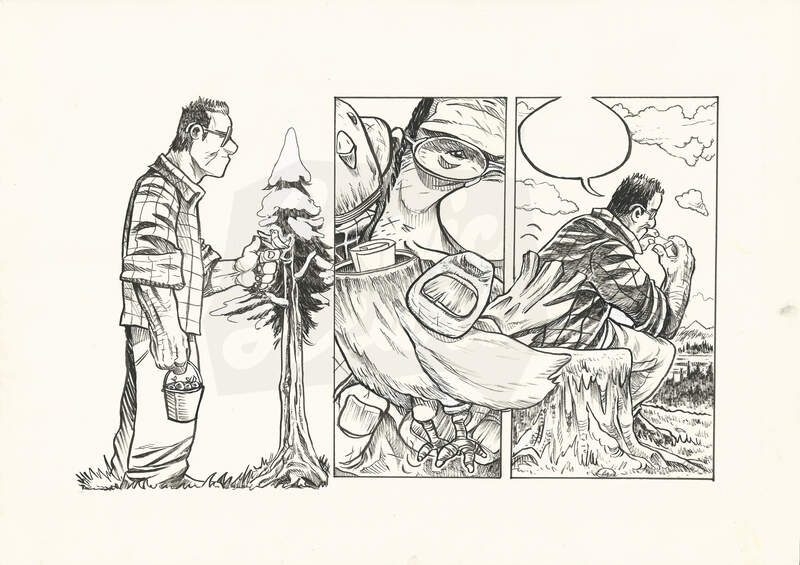 These are the original pencils and inks for part of the 23th page which has an A3 (29.7 x 42.0 cm / 11.7 x 16.5 in) sized format.